With today's standards it's amusing to see how many bell pushes Fabergé made. This was obviously something very important in wealthy homes - together with someone who came and catered to your needs when you pushed the little button... This one was made by workmaster Henrik Wigström, sometime between 1809 and 1917! 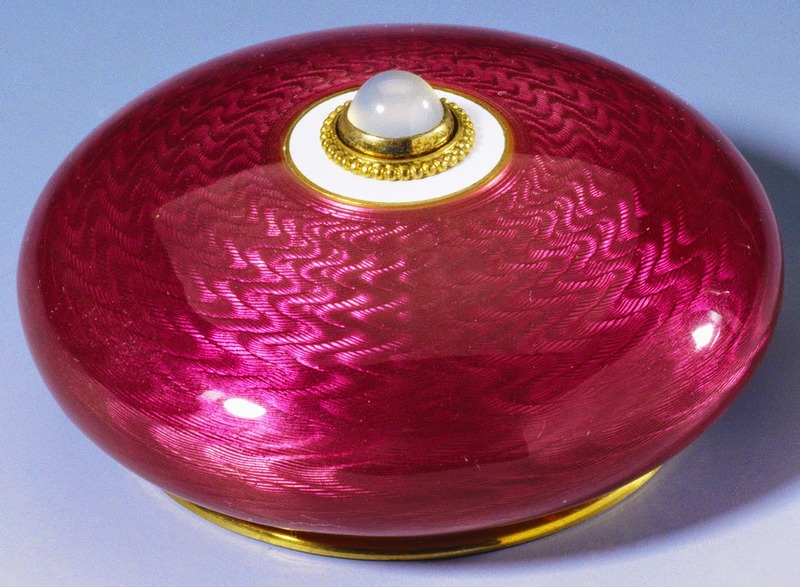 This flattened circular bell push is made of dark pink enamel over a guilloché ground, with a silver gilt foot. The press button is made of moonstone, encircled by a silver gilt bead border over a white enamel border. Since 1953 it has been a part of the Royal Collection.